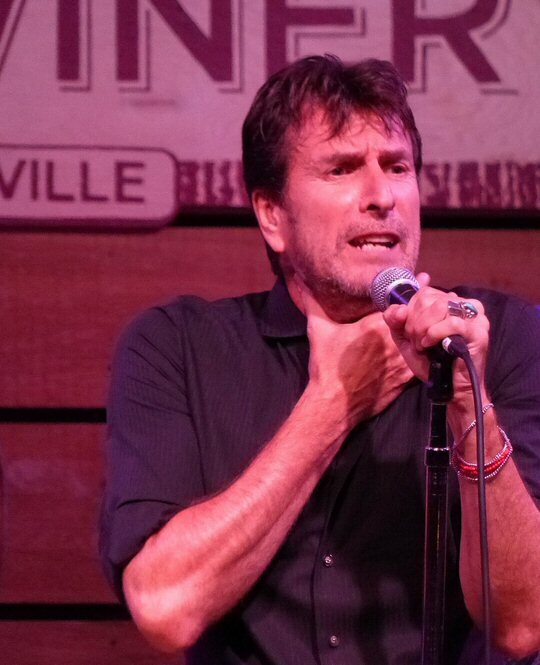 "I think what's scarier than Nazism or Communism is cynicism," opined lead singer and frontman for The Fixx at his band's concert at the City Winery in Nashville on August 15, 2017 on a day that nukes and nazis were seemingly on every world citizen's mind. "Because, if you have no hope in the future what have you got?" Cy Curnin of The Fixx was a hands on performer in Nashville. I have to admit that for the first ten minutes of the evening's show I truly thought that the fix was in. That is, I believed the band had gone the route of Journey or YES and replaced their signature lead singer. Why, you ask, did that thought occur to me? Well, with hair longer than his recent press shots dyed jet black a rail thin Cy Curnin looked twenty years younger than the number you'd find on his birth certificate and certainly a bit different from his recent publicity photos. Once my eyes adjusted from the back row of the winery my ears told me the truth - it was indeed the legendary singer on stage fronting his much loved outfit. The Fixx are, in fact, still intact touring around the world with their classic line-up that includes winemaker Cy Curnin along with Adam Woods on drums, the signature guitar stylings of Jamie West-Oram, the fashionable Dan K. Brown on bass, and Rupert Greenall on keys. The group are really only a handful of acts from the musically rich era of the early 80's who can claim to be fully restored. In 2017, their music sounds just as powerful and potent and perhaps even more important than ever. Take "Deeper and Deeper" for example - a song that Curnin said has stood the test of time pretty well. The statement rang true as America stands over an abyss like we never have before while the track grooved and pulsated to its ultimate conclusion. 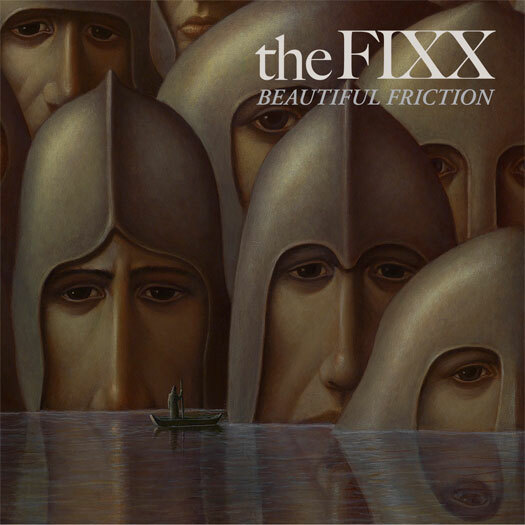 Not ones to rest on their ample laurels The Fixx have continued to make meaningful and beautiful music and two new numbers from their 2012 release Beautiful Friction made the cut on this night. The title track was a slice of classic Fixx while "Something Ahead Of You" reminded everyone in the audience that it is good to have something to look forward to in life. The Fixx are still making beautiful music these days. Of course all the obligatory statements peppered the one hour and twenty-five minute showcase including "Red Skies", "Are We Ourselves? ", "One Thing Leads to Another" and "Stand or Fall" complete with the clean and trademarked guitar tones from Orem-West and the rest of that keyboard dominant 80's style that so popularized the decade yet sounded fresh and relevant in the modern day. A three song encore featured an impressive jam heavy take on "The Fool" before Curnin bidded adieu by saying "parting is such sweet sorrow" that led into a slightly sad "Secret Separation". Sad because who knows when these five rockers will make their way to these parts again to provide another fix of their musical medicine. The City Winery located at 609 Lafayette Street in Nashville is an upscale venue with an innovative menu and wine list. They continue to host an eclectic blend of artists such as The Fixx. Upcoming events at the City Winery include Rik Emmett of Triumph, Jim Messina, Jake Clemons, Roadcase Royale and Max Weinberg. The legendary and classic lineup of The Fixx provided a dose of 80's energy in Music City.